I had the privilege to put on a Switch & Ditch fundraiser for AZ Assist a local (Arizona) nonprofit that assists young adults with autism and their families. It is impressive what they have been able to do for there clients with the little recognition they’ve received. It was the largest Switch & Ditch to date. 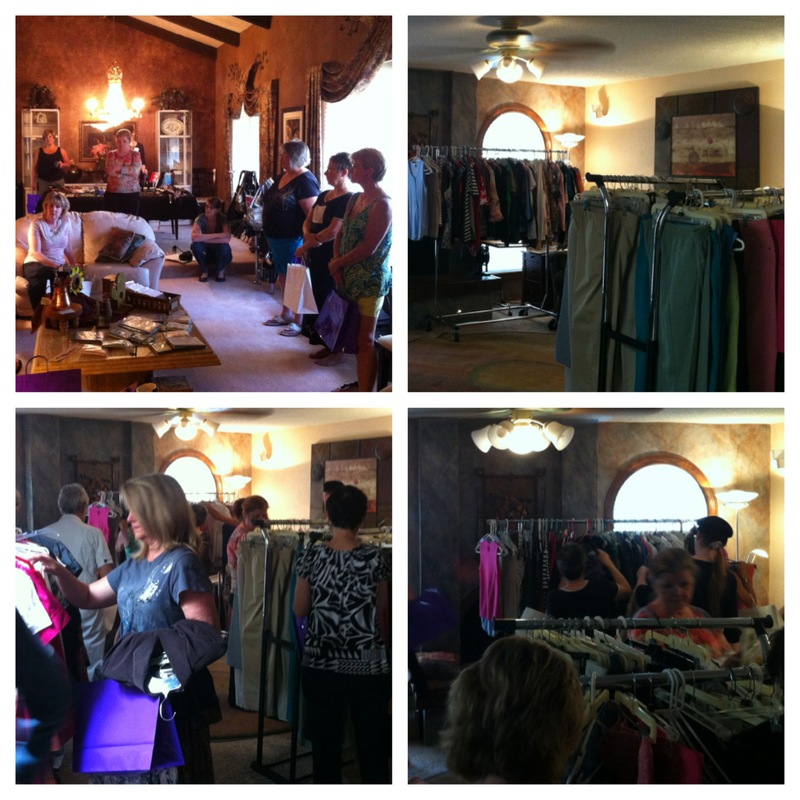 The ladies had a great time and were able to learn more about AZ Assist. I am still taken back on the amount of clothing that ends up being left over after all is said and done. It was all donated to Fresh Start Treasures. I love the win – win – win – win concept. 🙂 I think they are starting to get to know me over there as I have dropped off lots of goodies over the last year. Oh AND this is also a “photo a day” 2. Empty – Not. It looks like a store. This entry was posted in Fashion, June Photo a day, Photo a Day and tagged bargains, challenge, clothing, Fashion, fellowship, Photo, photo a day, photos, style by jackiestyle. Bookmark the permalink.